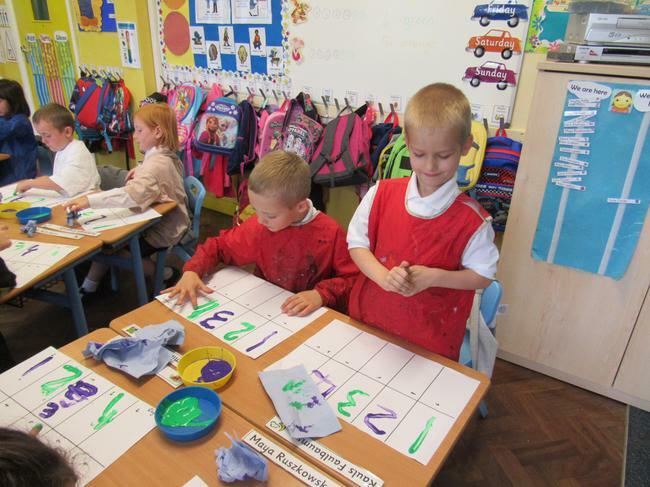 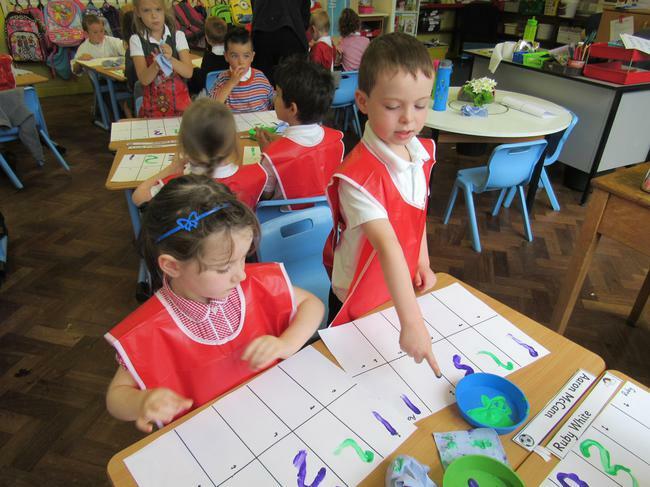 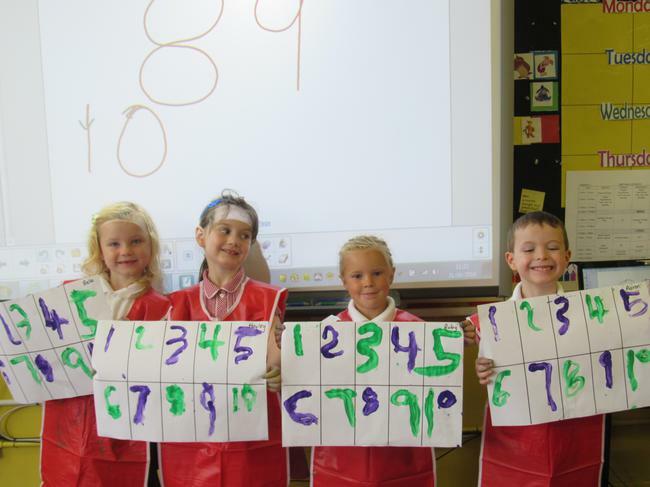 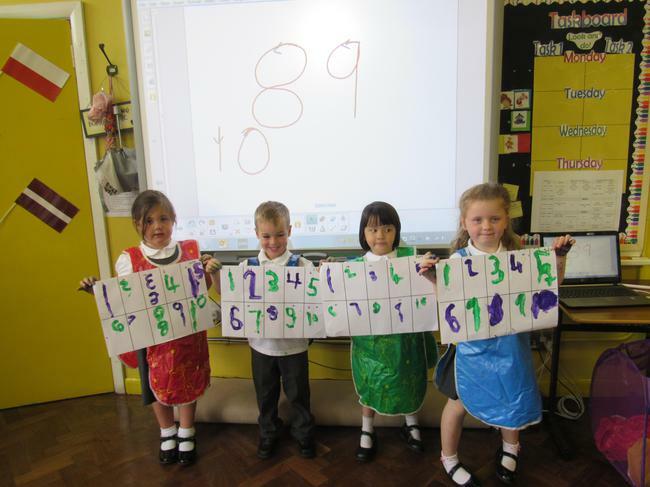 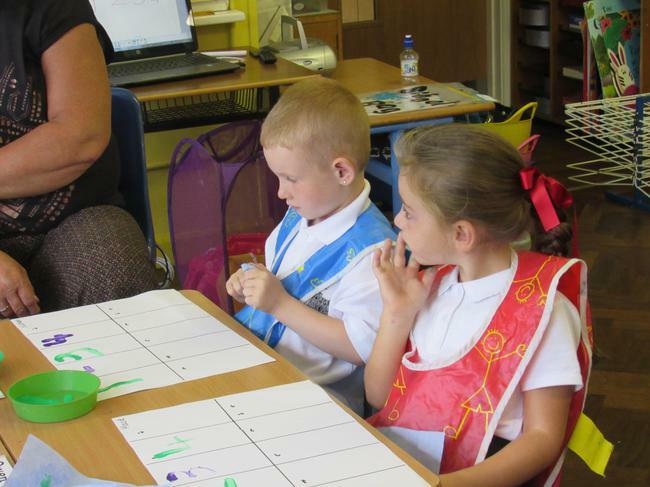 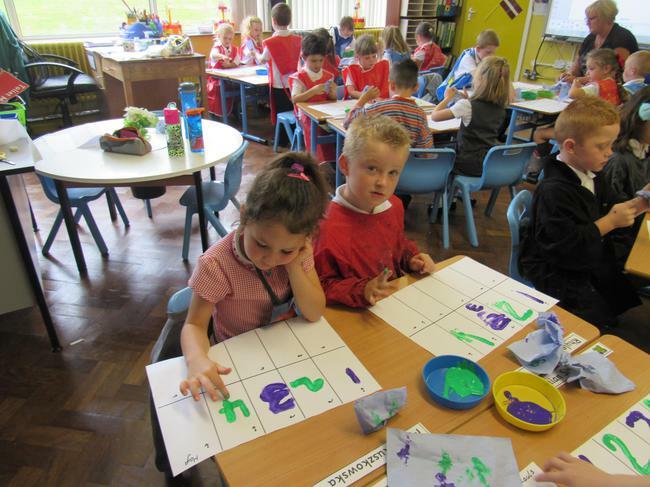 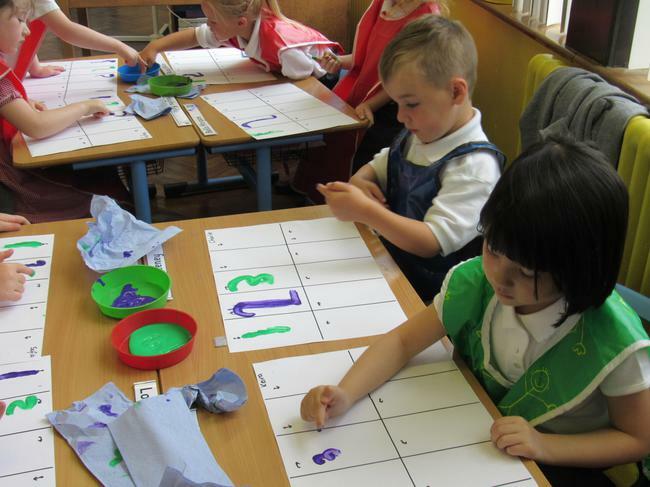 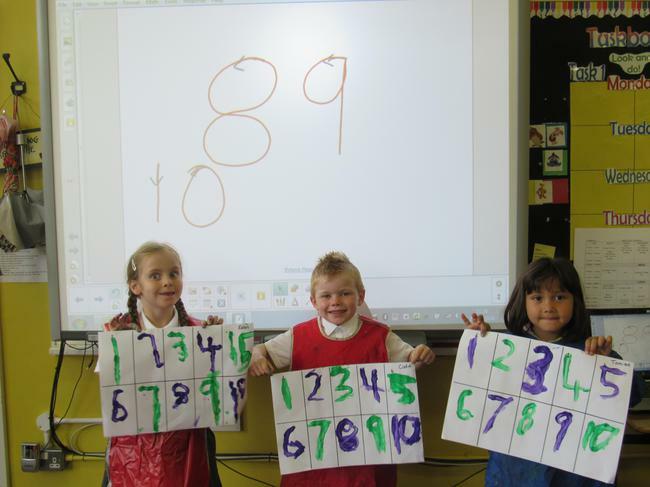 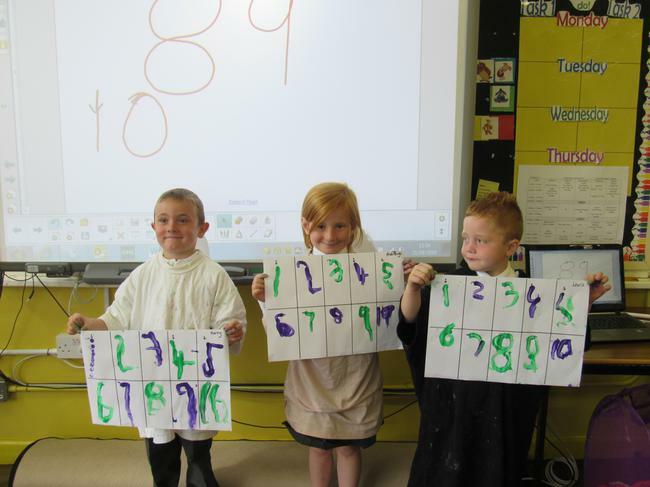 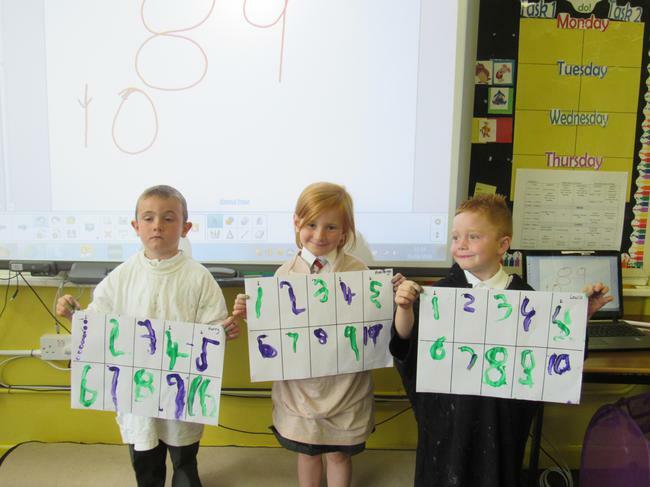 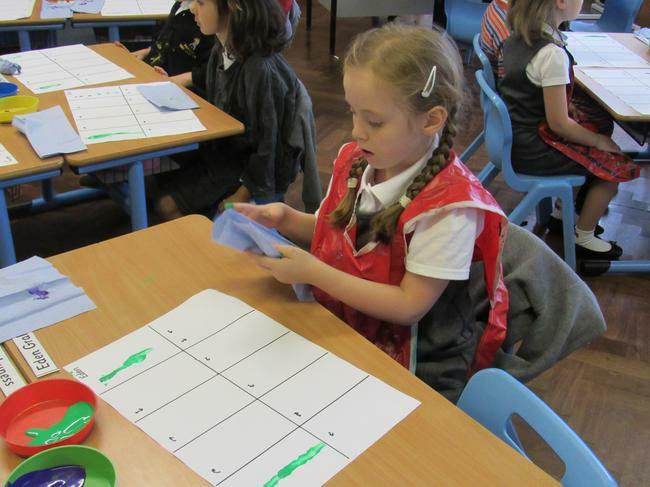 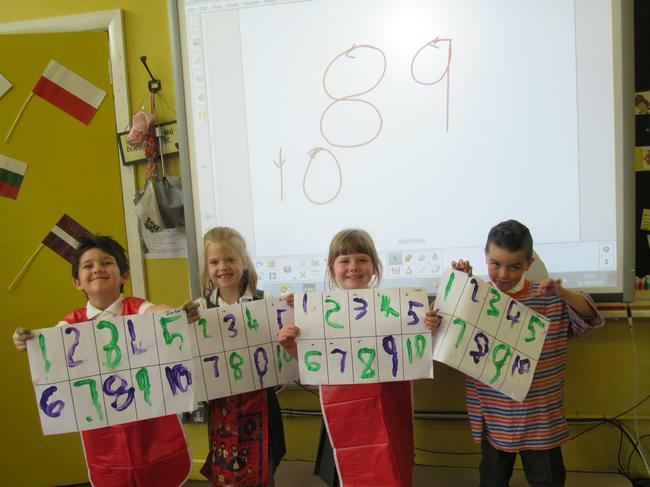 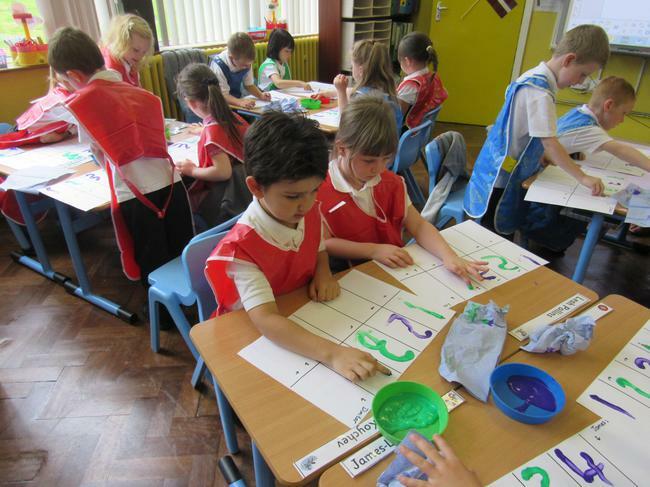 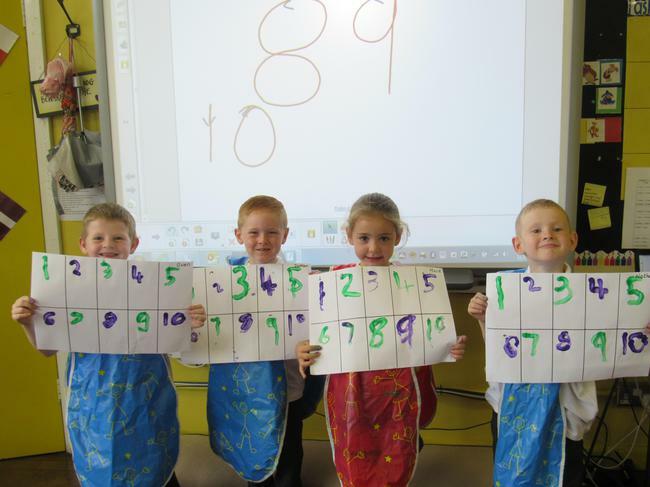 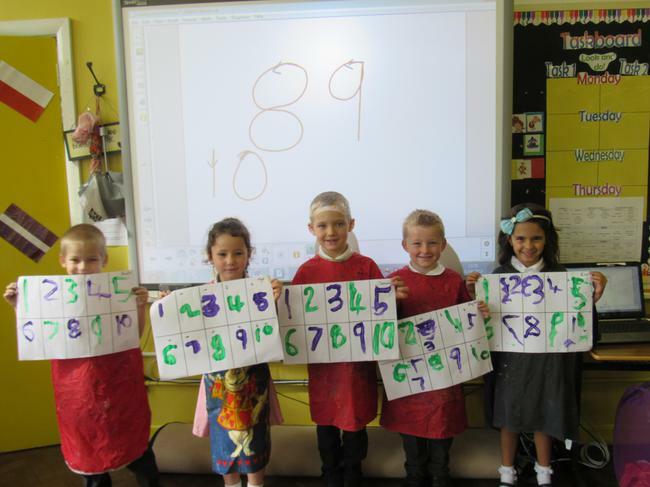 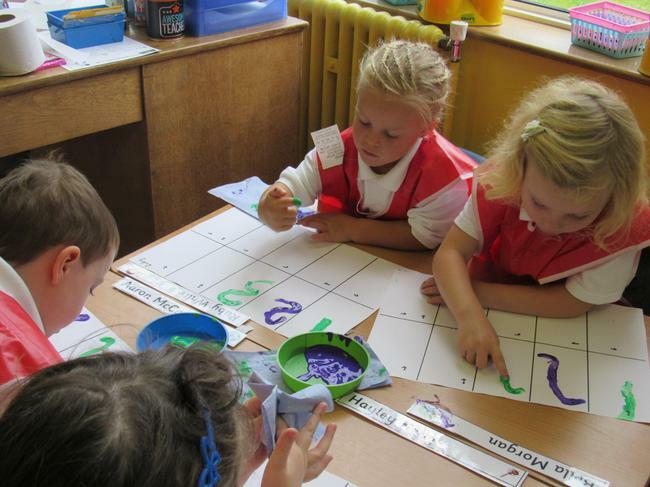 We had great fun practising writing our numbers. 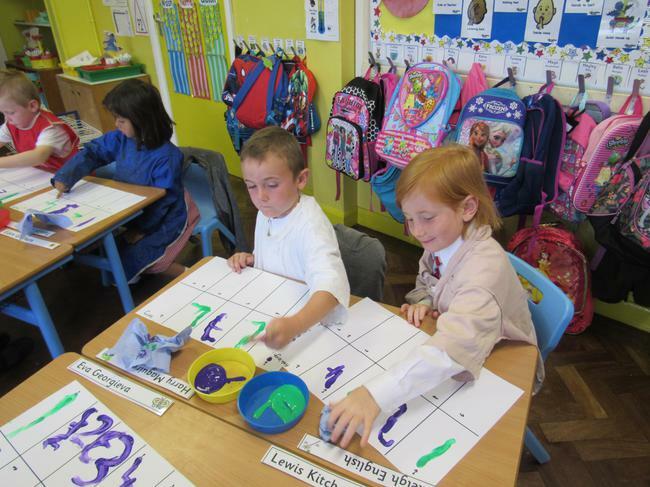 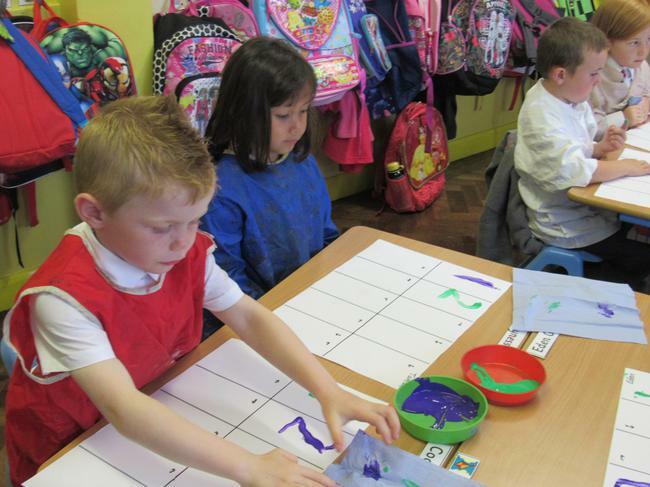 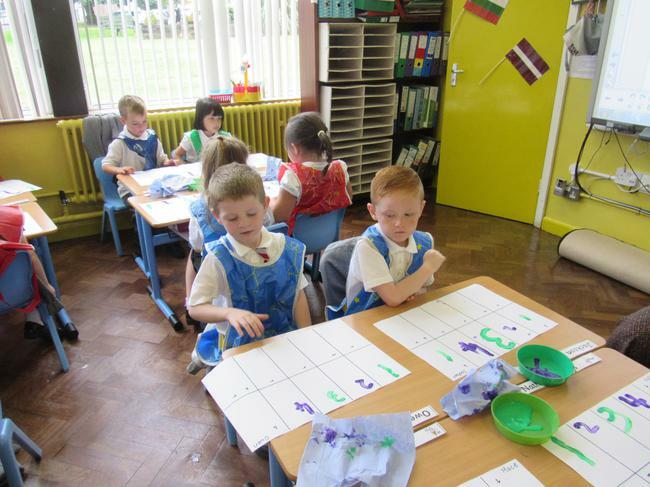 We used our fingers and green and purple paint. 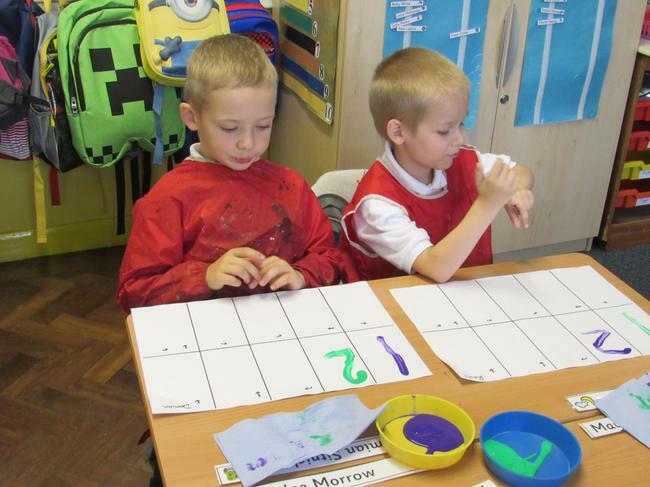 Not only did we practice how to write our numbers correctly we also had to think about patterns writing one number green and the next number purple to make a pattern. 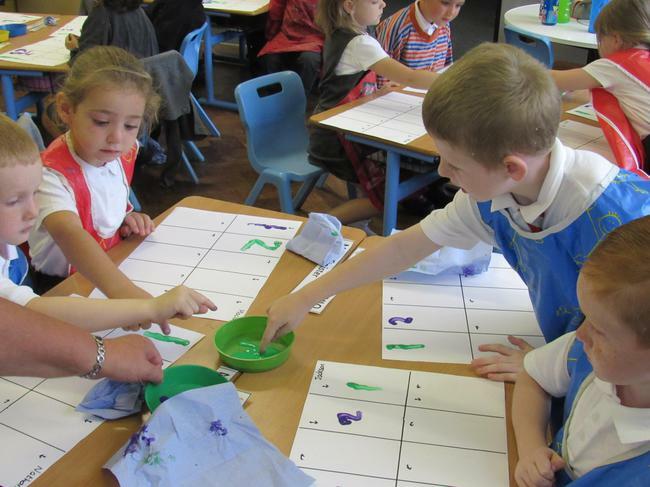 It was a bit messy but great fun!